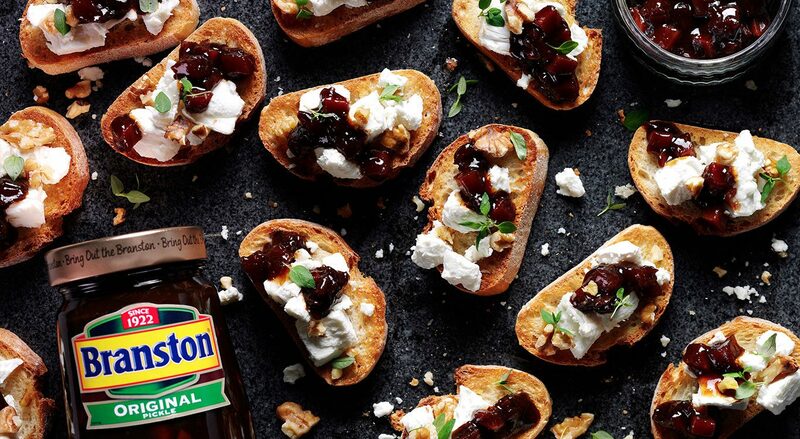 Branston’s previous website wasn’t truly reflecting the ‘Bring out the Branston’ personality, or embodying their ‘Make it Special’ brand mission. 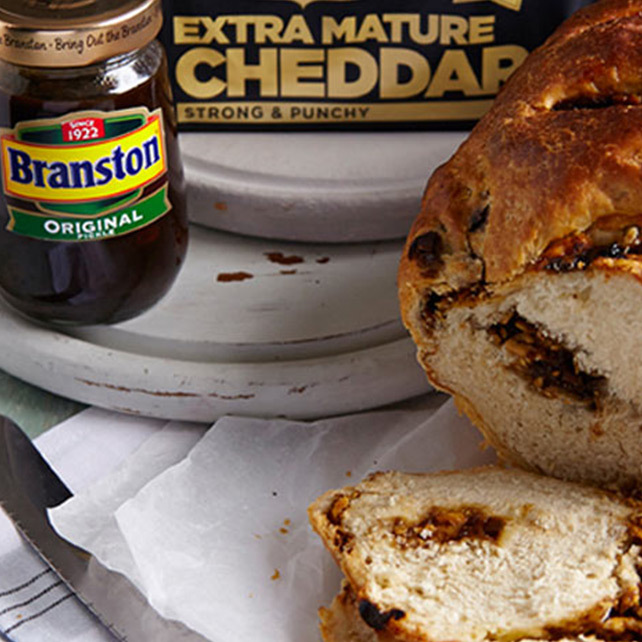 So we set about on designing and building a site worthy of a well-loved British classic. 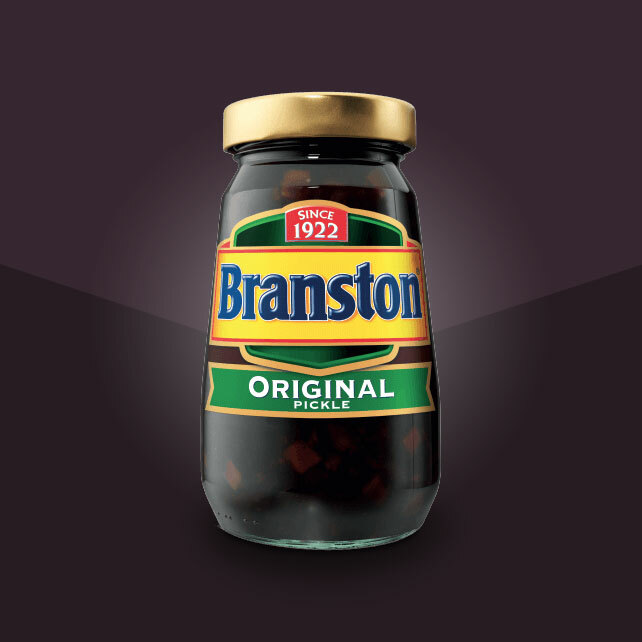 We discovered that whilst people love Branston pickle, many limit its use to cheese sandwiches and a ploughman’s lunch. 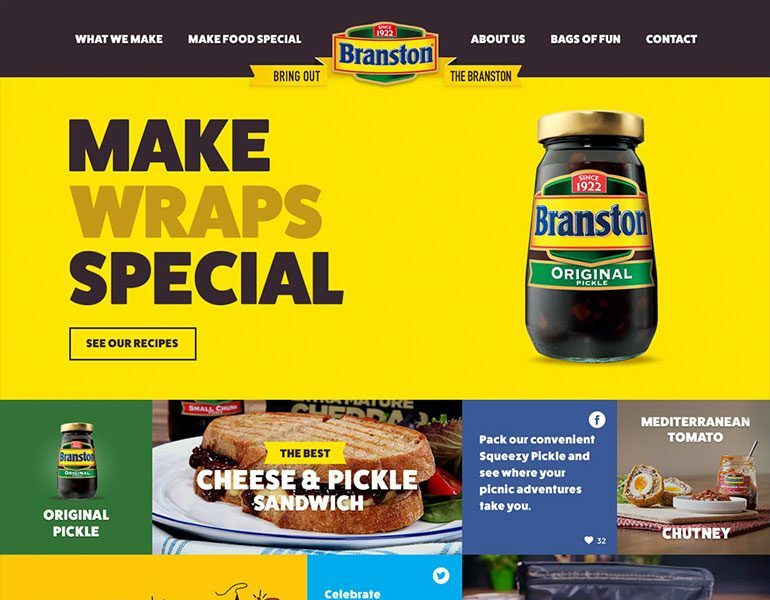 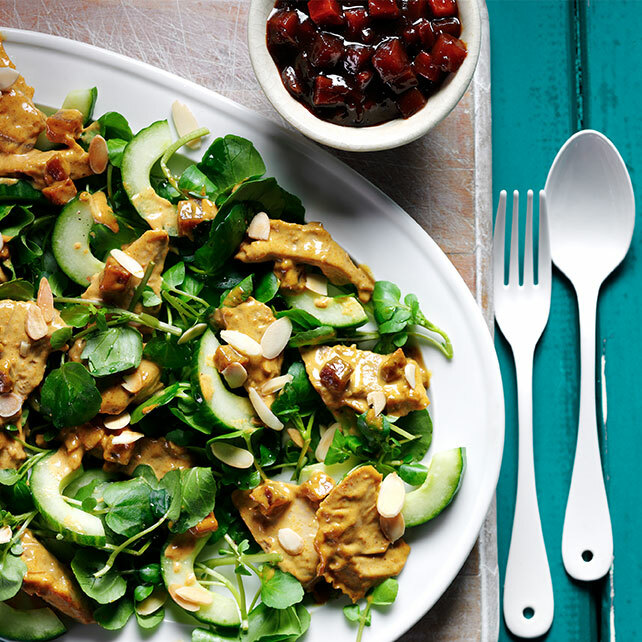 With home-made cooking on the up and Branston championing a ‘making’ culture we needed to serve up an inspirational website, with interesting recipe suggestions for a wide range of uses – including wraps, pizza, burgers, and more. 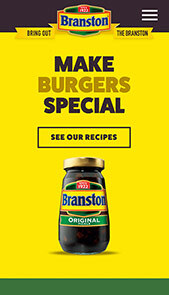 Our creative approach was to communicate this brilliantly-British brand personality with simple navigation; bold, bright and colourful recipes; and loads of tempting-looking photography. 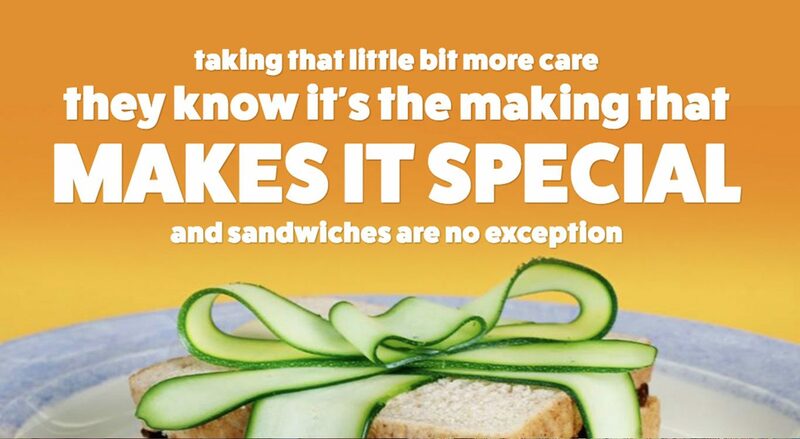 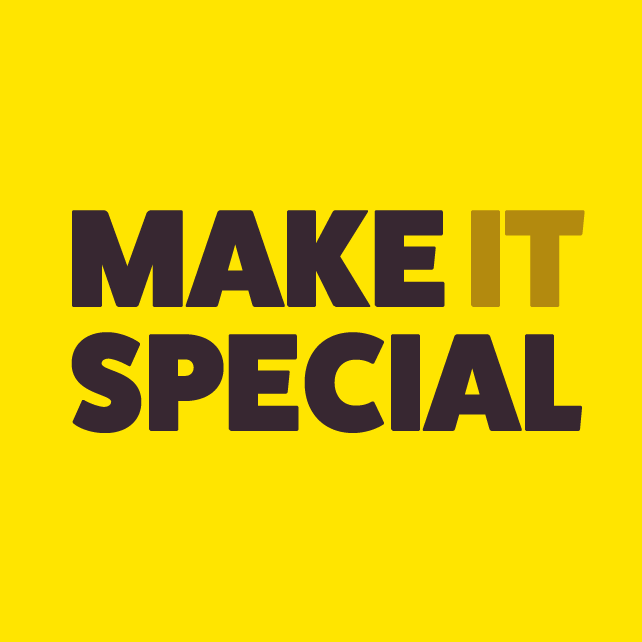 Clearly named sections – like ‘What We Make’, ‘Make Food Special’, ‘More Than Just A Pickle’ and ‘Bags of Fun’ – explore a clear brand proposition, allowing people to understand the straightforward distinction between products and their potential uses. 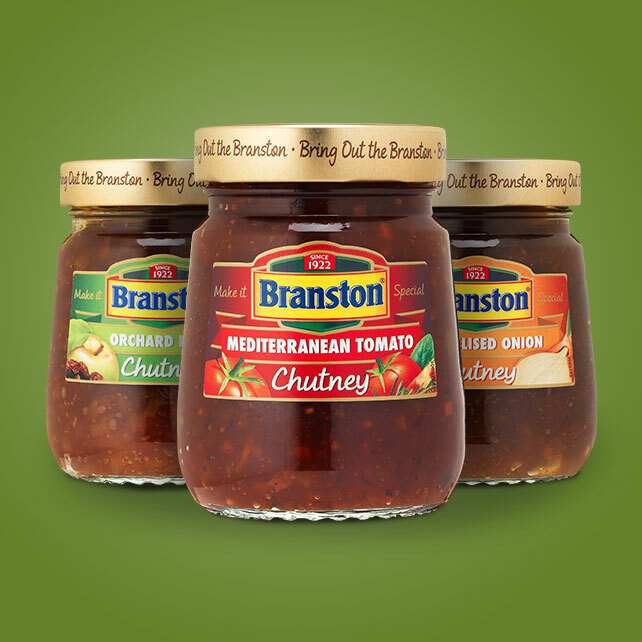 Acting as one central touchpoint for all aspects of the brand, our site really celebrates Branston and their uniquely-British ethos.